I've gushed over Project 7's packaging and overall branding, but to be honest, the only product of theirs I truly love and repurchase on a regular basis are their vanilla peppermints. 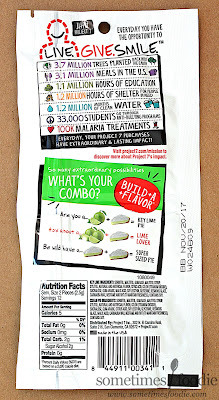 This company has TONS of gum flavors, but I always feel like the taste never lives up to their fancy flavor names, but maybe that will change now that we have these Target exclusive Build+A+Flavor packs. 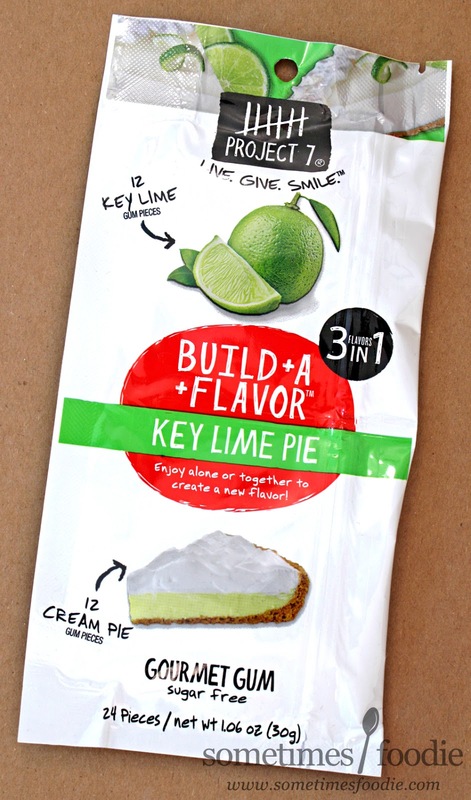 Back when Dessert Delights gum was around they had a Key Lime Pie flavor, and it was my absolute favorite! Since it was discontinued a few years ago I've been missing my chewable pie-flavored fix, so I'm really hoping this will be an adequate (or improved) replacement. 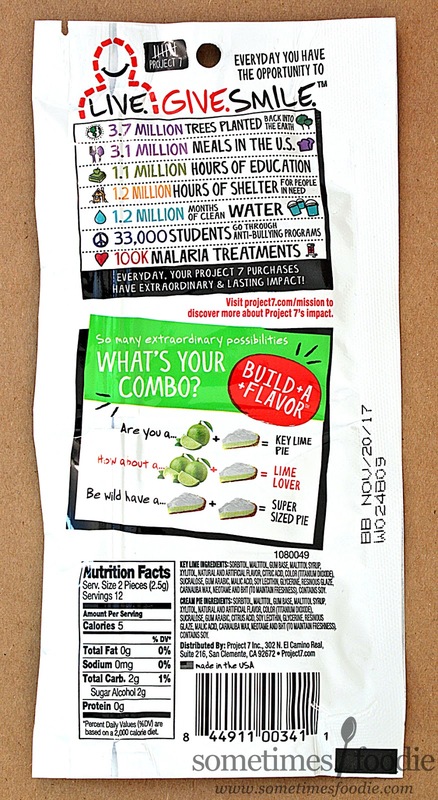 A simple solution would be to add a perforation line between the two pouches so you can easily separate the flavors into 2-pockets, and hopefully they'll seal better that way as well. It loses some of it's playfulness, but trust me, it'll function so much better! Enough picky packaging, how does it taste? 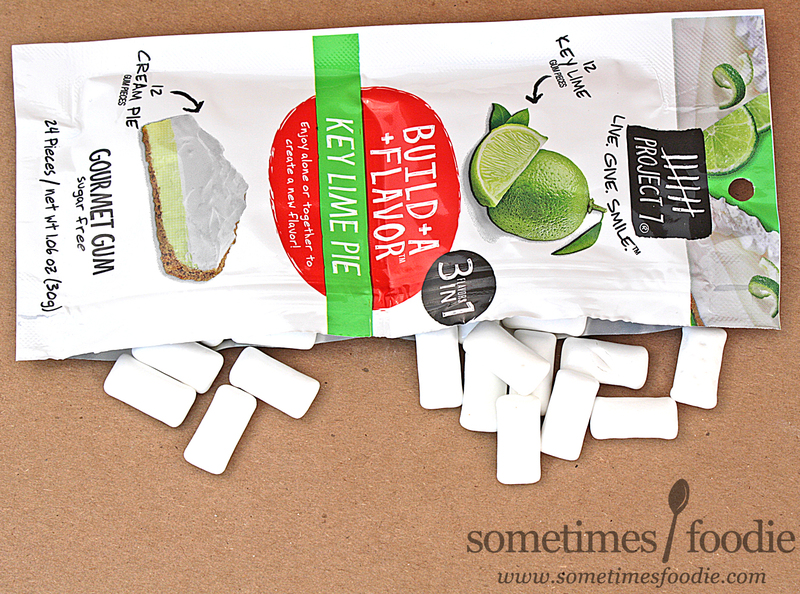 Lime was the reason I bought this, so I went for that first. Before chewing, i noticed that the little white chiclet pieces smell oddly buttery and salty, kind of like a buttered popcorn Jelly Belly bean, which was really alarming. Did something go wrong at the factory? Why does my lime gum smell like popcorn? Was there a flavor switcheroo? On it's own, cream pie smells like buttered popcorn nightmares. THIS is what infected the lime pieces and made them smell like Jelly Belly beans! I chomped down on two pieces and this stuff is buttery, slightly salty, vanilla'd and really really off putting for me. I do NOT like this on it's own at all. I feel like I'm chewing a salted caramel bubble gum. Maybe the lime can fix this? Oh God! what has the world come to. People are trying to instill all the flavor in everything. I can't imagine what it would be like. The sky is the limit I guess.